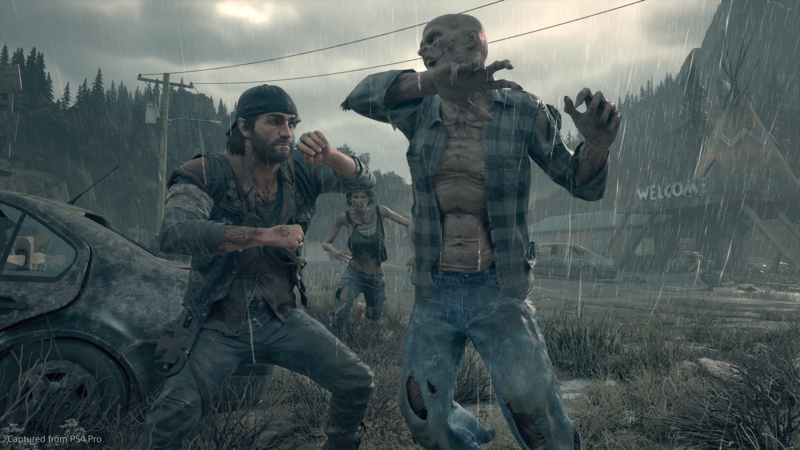 Whenever Bend Studio offers new details on Days Gone, the information typically concerns gameplay, the world, or the world’s inhabitants. So far, little has been said about the narrative. However, just because Bend’s maintained silence on this front doesn’t mean story won’t receive its due. In fact, according to Creative Director and Writer John Garvin, story serves as an integral part of the Days Gone experience. During an interview with Official PlayStation Magazine, Garvin revealed that narrative details are on the horizon. We haven’t been focusing too much on story yet. There will be a lot more to come on that, coming soon. I’m the writer, and the director, and I’ve written all the games for SIE Bend, and they are all narrative, story-driven games. So this is a huge part of the game. We’re just not talking about it yet. While Garvin couldn’t disclose when this information will surface, he did tease more about Days Gone’s infected creatures, the freakers. In doing so, he first explained the difference between zombies and the infected that fill this particular game world. So we’re like 28 Days Later zombies, instead of Walking Dead zombies. And that’s, to my mind at least, that’s a huge difference. Because what that allowed us to do was to create an ecosystem; you’re in an open world, with a day/night cycle, and you’ve got creatures that need to eat, they need to sleep, they need to drink… all of that is built into the daily cycles of the horde. You find a horde den–a cave or a mine–you can track what they’ve done during the day. You can actually find where they go to feed, because we have all of these mass graves in the world. That’s why they are out here in the wilderness. And then you can find out where they feed, where they drink, and you can follow them and learn their habits, and that’s important, because later on there’s going to be missions where you have to take them out. And they’re just dangerous all the time. If you run into one while you’re on the highway trying to do something else, good things don’t come of that. With events such as The Game Awards and PlayStation Experience to round out the year, it won’t be long before there’s even more to learn about Days Gone. Days Gone launches exclusively on the PlayStation 4 on February 22, 2019.